But seriously, you’re staring at bars. How are you supposed to know who is in range of whom? Enter GridStatusPriestAOE. If you are using Vuhdo, TOO BAD! 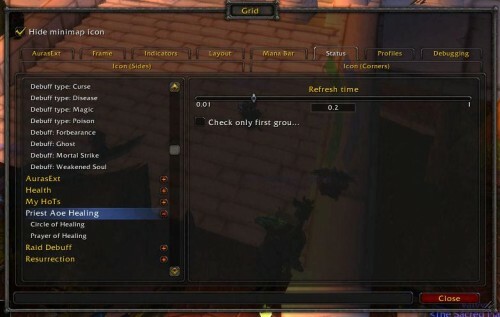 This lovely addon gives you a suggestion as to which person, if healed, would maximize the healing done by that spell. You’re gonna cast POH on group 2 anyway, but on whom should it be centered? GridStatusPriestAOE knows. Now, this is best used as a range checker, not as a suggestion on which group to heal or where your circle of healing should be. It is NOT good at telling you what to do. You have a brain for that. With that said, let’s get to the setup. Looky, here it is under your status tab. I wouldn’t put “check only for first group”… well maybe if you’re in a BG. But honestly, you need to know ALL THE GROUPS. 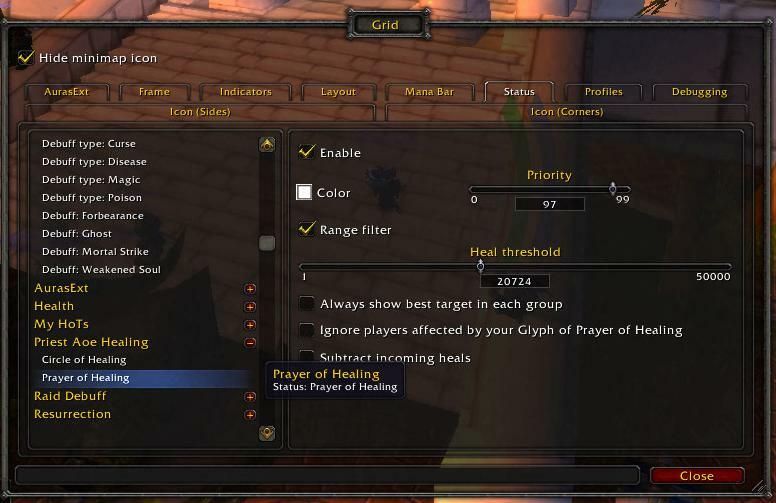 Here’s the config for circle of healing. 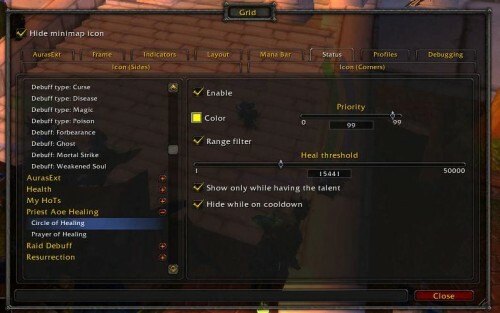 It has all sorts of nifty options, like hiding it when I’m not in holy spec or hiding when on cooldown. Yes please. Now, what is this heal threshold? It’s so you don’t keep seeing the icons when nobody is hurt. I would say, just TRY the defaults and then fiddle around from there. The defaults are pretty good. The priority is 99, which is higher than that of Prayer of Healing, because I don’t want to cast prayer of healing if COH will do the job. Now the Prayer of Healing! I don’t recommend “always show best target in each group”. With that checked, it will have a dot for each group up ALL THE TIME regardless of whether anyone is hurt. I unchecked the other options as well. Do whatever you prefer on those. The priority on this one is 97, lower than that of COH. 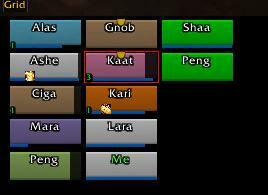 Now, there are colors for these boxes, so you can tell which is POH and which is COH in your frames. I opted to just use an icon plugin and reserve a spot for those two icons. I took some screenies when I was in a srs bzns raid. 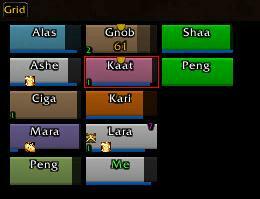 OK, now Ashe is the person you want to do POH on for group 1. You don’t want to do POH in group 2. However Kari in group 2 is the person on whom you want to center the COH. Here’s the interesting part… Kari is not actually injured. However, Circle of Healing is smart and will splash AROUND the central person. I think you can even center it on a mob. 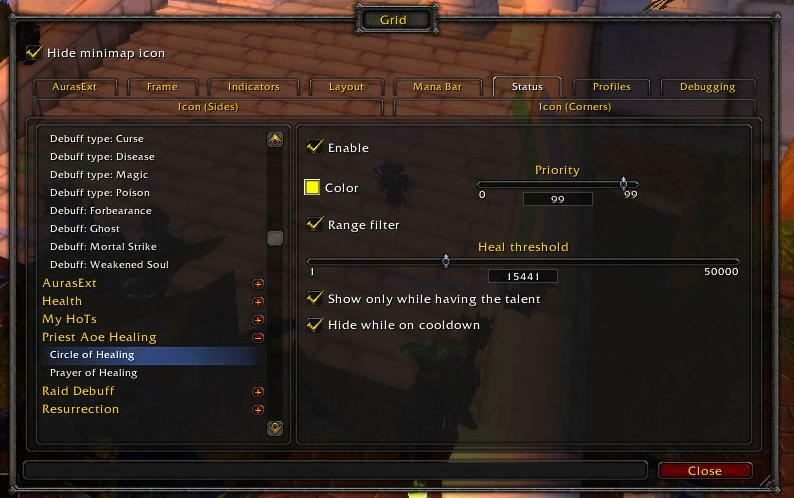 So, without this addon, never in a million years would I see these health bars and think the druid is the one I have to COH. On this one, Group 1 and Group 2 are both injured enough to warrant a POH. At least according to the threshold I set. My threshold is probably too low. And there’s the COH target (once again, not injured). IF you’re using Vuhdo, check the range checker option. When you put you’re mouse over one of the raid frames it will light up the frames of the other players in range that will also get it by the heal you cast. I’ve tweaked the settings now, might have to do a bg to test it out. Just had my first look at Ragnaros and that darn floor is so big I’m sure, most of my group heals were wasted, this should definitely help with effectiveness. Ooh, yeah… I might get that sucker for my pitiful lvl 80 shaman. 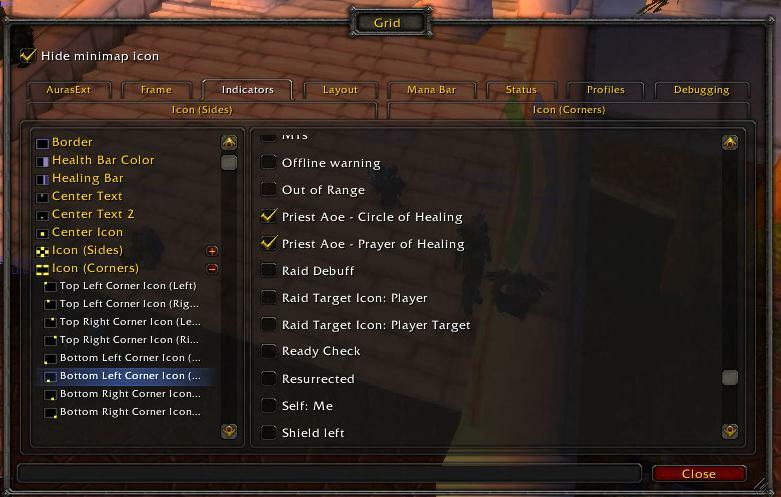 I am pretty wary of addons that tell me what to do, but range checking is nice. Ouch! Sorry for the spelling and grammar mistakes.